An almost 200 year old Saxon farmstead. A large chestnut tree of which no one really knows how old it is. A hamlet centred round a tranquil village square with large, old trees. 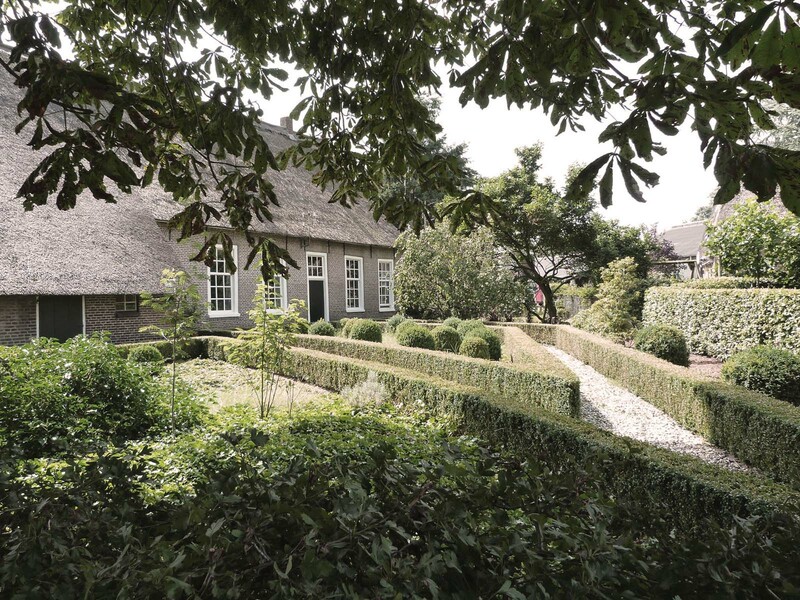 In this historic farmhouse you will find our Bed & Breakfast and tea garden. The B&B has two comfortable rooms with private bathrooms. The tea garden is a good place to unwind and to enjoy the beautiful surroundings together with a nice cup of tea or coffee and sweets. If you want to see more of the beautiful countryside, you can pick one of our hiking or cycling tours. And if you want to enjoy lunch outdoors, you can pick a backpack hike or a bicycle picnic tour. 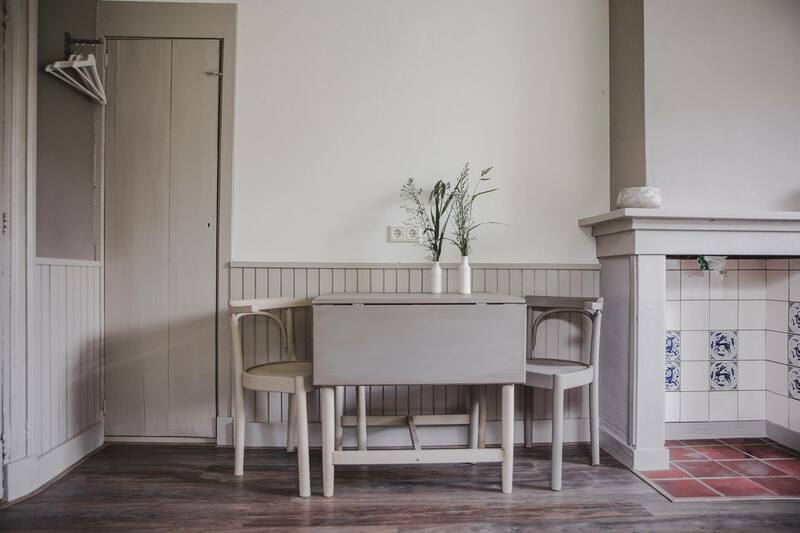 We hope you’ll enjoy the peace and quiet and the ambiance at ‘De Kastanjehoeve’. 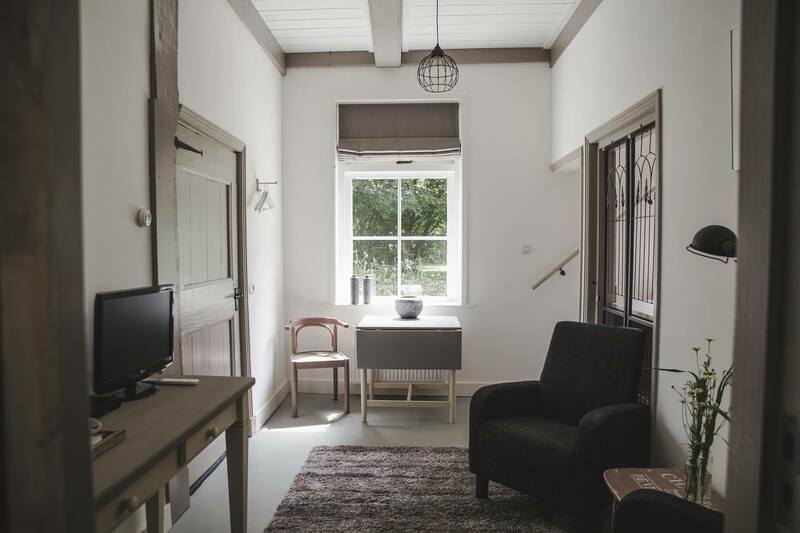 ‘De Kastanjehoeve’ has two B&B rooms: the Voorkamer (the Front Room) and the Opkamer (the Upstairs Room). Both are attractive, comfortable double-bedded rooms and have access to a private part of the garden with a table and chairs. 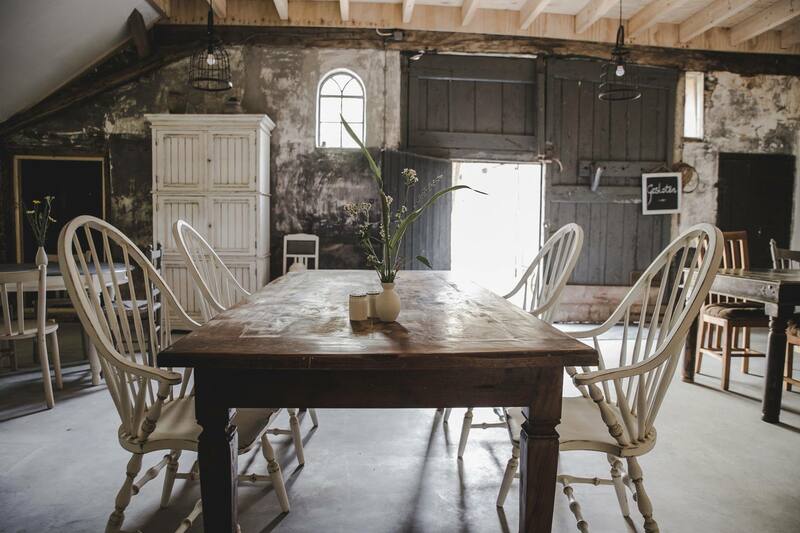 There are sufficient parking facilities at the farmhouse and there is room to store away your bicycles. 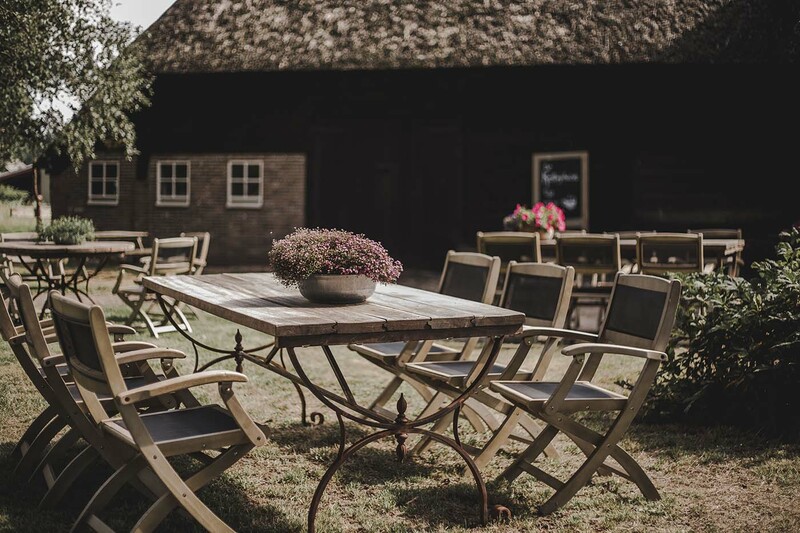 After a walk in the beautiful area of the village of Den Hool, or after a bicycle tour along the picturesque villages Dalen, Gees, Erm and Sleen, you can take a rest in our tea garden and enjoy a cup of tea or coffee and homemade cake. It is also possible to enjoy an afternoon tea all day long (only, the Dutch call it ‘high tea’). From early April till late September you can sit outside under the big chestnut tree at ‘De Kastanjehoeve’. There are several cosy table and chairs throughout the garden. If it’s a bit too cold to sit outside, you can find a place under the old framework of the farm. 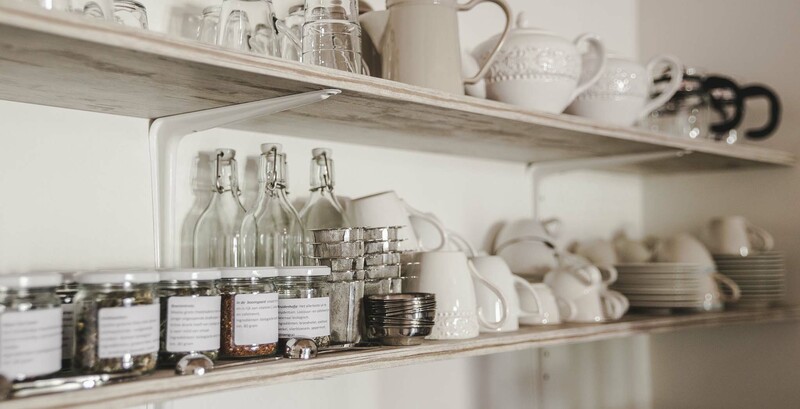 We sell several types of tea as well as restyled home accessories and gift items, like mugs and teapots. ‘De Kastanjehoeve’ is an excellent starting point for a bicycle picnic tour or a backpack hike. We’ll provide you with a tasty lunch which you can eat on the way. The well-known Dutch hiking trail ‘Het Pieterpad’ runs past our tea garden. The perfect end to a discovery trip! Like to learn more first?